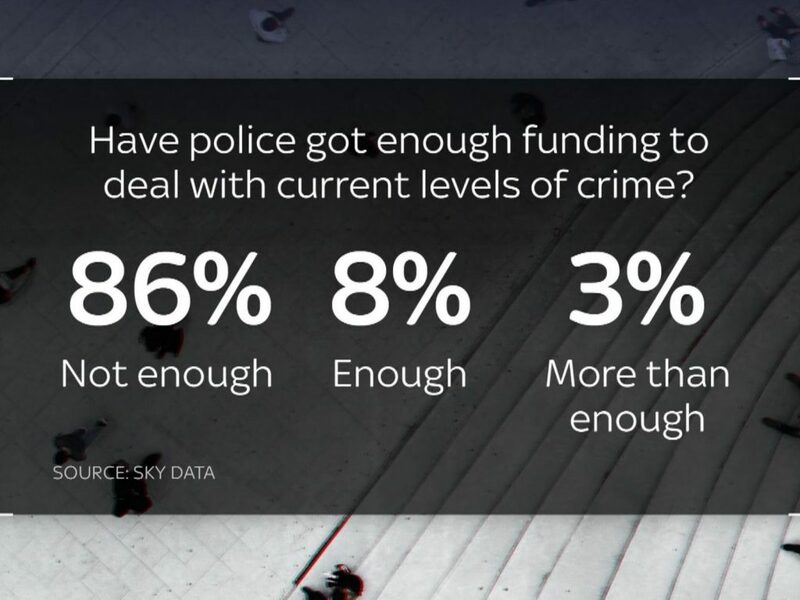 Recent findings by Sky Data reveal that 86% of people do not think police have enough funding to protect the general public and deal with current crime levels effectively. The majority of Britons feel less safe, with almost 90% saying that funding cuts mean police cannot do their job to protect people against crime. 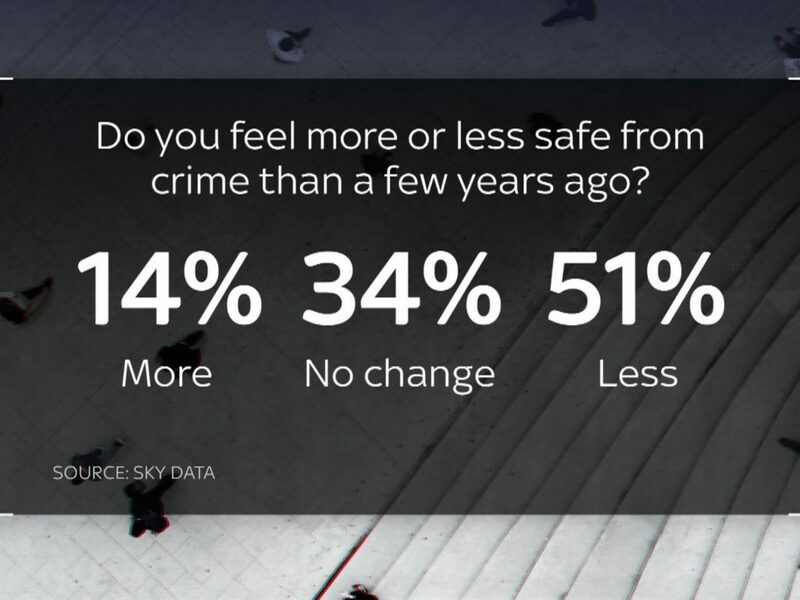 Some 51% of people feel less safe than they did a few years ago, and 34% saying there has been no change. 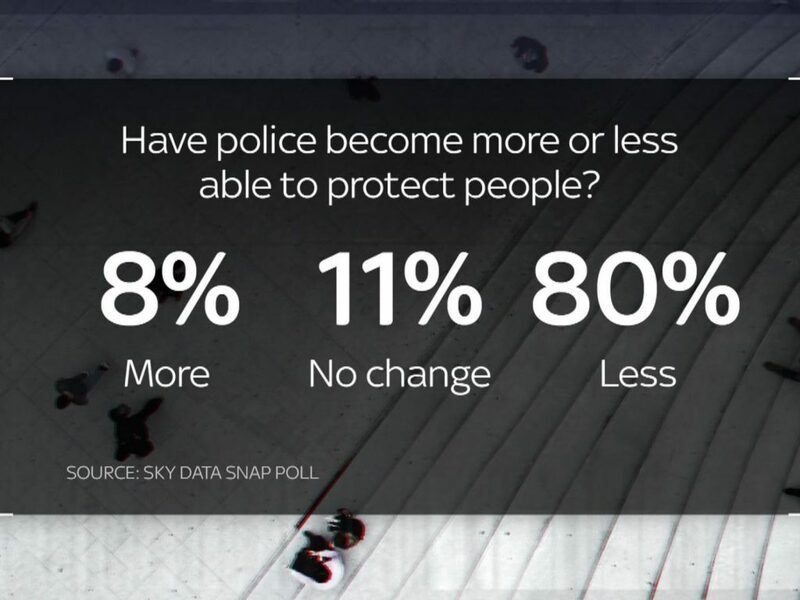 Meanwhile, 80% think the police have become less able to protect people over the last few years, with 48% saying they have become much less effective in protecting people from criminals. 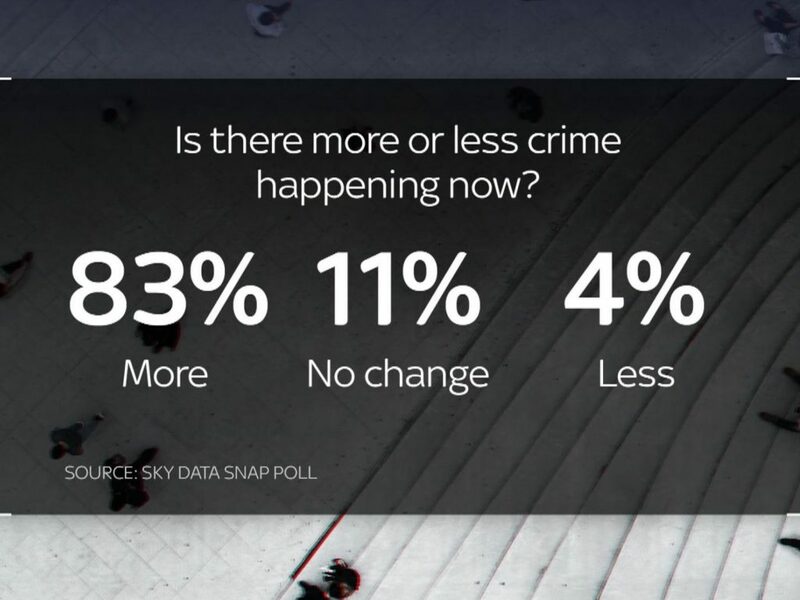 Similarly, 83% of people think there is more crime happening now than a few years ago, with 48% saying there is much more. Blame is being attributed to police funding cuts, as 86% do not think the police have sufficient funding to deal effectively with current crime levels, and 62% saying they do not have nearly enough. More than 20,000 police jobs have been cut in England and Wales since 2010, with government funding for the police cut by more than £2bn per year over the same period. *Sky Data interviewed a nationally representative sample of 1,466 Sky customers online between 20 and 23 July 2018. Data is weighted to the profile of the population.